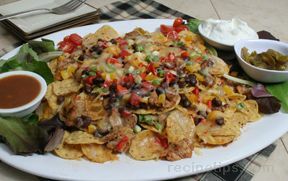 View our collection of nacho recipes. 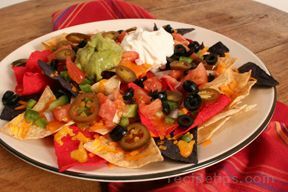 Try one of these super nacho recipes that'll make you want more than just chips and cheese. 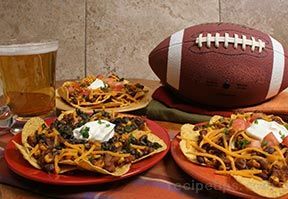 "Nachos make the perfect appetizer to serve on game day, whether you are enjoying football, baseball, basketball, or any of your favorite sports. 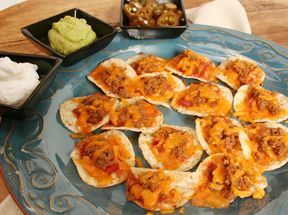 Serve them at any party and they seem to be the first thing everyone will want to try. 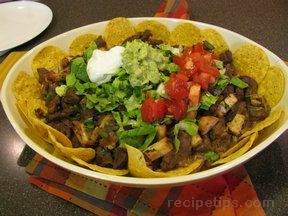 It is easy to make them with a variety of flavors by making them with beef, pork, or chicken. 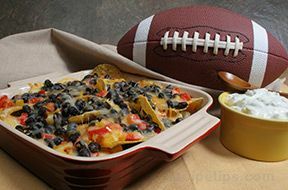 You can also turn up the heat on them with extra jalapenos or leave them on the side to add as desired. 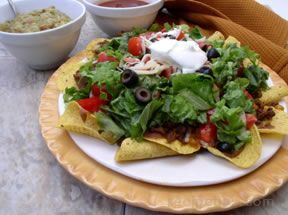 With this collection of nachos you can select just the right combination for you and your guests."